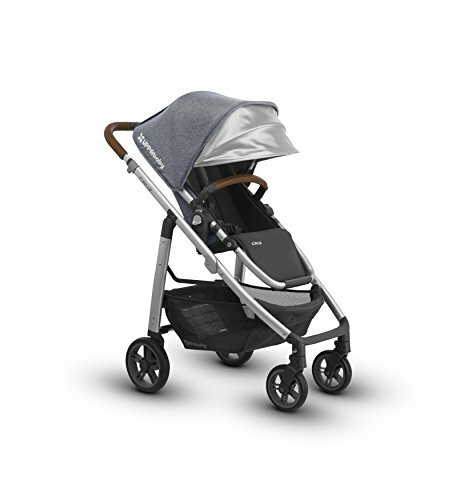 The CRUZ features all the amenities of a full-size stroller in a compact, lightweight design. Its narrow frame allows for maneuvering through doorways, small aisles or city sidewalks with ease. The 2017 collection features a new color palette and premium leather accents to keep you strolling in style. Combines aluminum with magnesium for optimal lightweight, durable performance-Shock-absorbing front & rear suspension- One-step fold, with or without seat attached-Large, easy-access basket holds up to 30lbs.